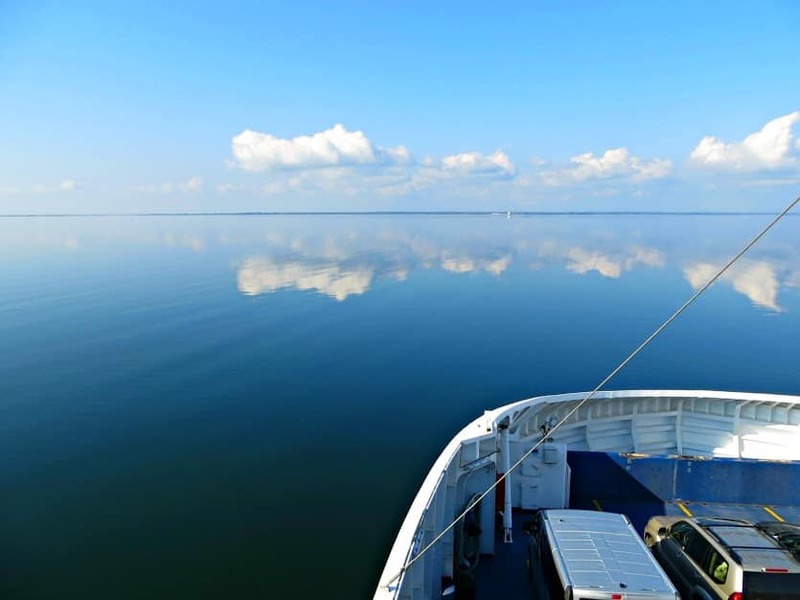 The Ferry to Saaremaa Island, Estonia. Saaremaa: a fairytale island off the west coast of Estonia, is home to rich, expansive forests and the pristine, blue waters of the Baltic Sea. During the Cold War, the Soviet Union stationed military assets on Saaremaa, closing the whole island from foreigners and even most locals. As such, Saaremaa has avoided the trappings of industrialization, maintaining an old-world charm and splendor. Home to only 31,000 inhabitants, Saaremaa is an excellent destination to take in a breath of fresh air and enjoy unspoiled nature in solitude. In addition to over 1000 square km (410 square mi) of forest, Saaremaa boasts some quirky sights, such as rustic windmills and ancient meteorite craters.The setting evokes a magical allure—don’t be surprised if you glimpse a fairy or two hiding in the trees. You can also relax in one of the many spas (where the island gets its nickname ‘Spa-remaa’), while sipping on local craft beer. The winter is long and cold in Estonia, and many businesses maintain shorter hours or close completely in the winter. Summer is the best time to enjoy the full experience of Saaremaa, and the shoulder seasons (May, September) prove nice as well. The summer rush is generally calm, so a midsummer visit won’t overwhelm you with crowds. The easiest way to get to Saaremaa is to take a bus to Kuressaare, Saaremaa’s capital. Major bus routes run from Tallinn (€16), Tartu (€18), and Pärnu (€13) directly to Kuressaare. Included in the bus fare is the ferry crossing to Muhu Island, which takes about 20 minutes. From Muhu, the bus continues along a series of bridges to reach Saaremaa. You can also buy tickets for the ferry at the mainland dock in Virtsu. Kuressaare is manageable on foot, but exploring the rest of the island requires wheels. Local bus lines service the island, but can be sporadic at best. 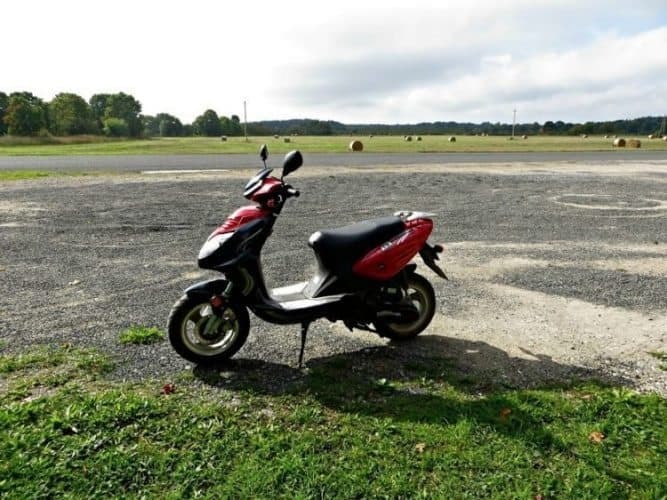 For the ultimate Saaremaa experience, renting a bicycle, moped, or car will give you the best flexibility to visit the treasures of the island at your own pace. Hotels and the main tourist office rent out bicycles (€10+), and Rendiautorent offers mopeds (€30+) and cars (€40+). Car rental services close their doors after summer dwindles down, so be sure to call or email ahead if visiting in the off-season. To fully immerse yourself in the rural charm of Saaremaa, be sure to check out the village of Angla, located 30 minutes north of Kuressaare. Lining the road are five wooden windmills, dating back to the early 1800s. Set among grassy meadows and rusty farming equipment, the windmills are the signature icon of the island. A small entrance fee allows you to explore the windmills’ interiors and learn how they operate. While wandering around the forests of Saaremaa, you might stumble upon the Kaali crater, just north of Kuressaare. Estimated to have formed over 4,000 years ago, the Kaali crater is one in a series of nine meteor impacts in the surrounding area. Kaali forms a perfect circular lake about 22 m (72 ft) deep, and you can walk down a ramp to the lake’s edge to peer into its sacred waters. Take a tour of Kuressaare Castle, whose interior houses the information-packed Saaremaa Museum. Built in the 14th century, Kuressaare Castle is a well-preserved stone fortress still standing guard against foreign invaders. Inside the museum, be sure to climb to the top of the castle walls for a beautiful view of the Baltic Sea. Check out the USSR propaganda exhibit inside the museum for a taste of Estonian life under former Soviet rule. Saaremaa is sparsely populated and opportunities for volunteering are scarce. Check in with the tourist office in Kuressaare or ask at your lodging if there are any available opportunities. Bed and breakfasts are the bread and butter of Saaremaa. Outside of Kuressaare, you will be hard-pressed to find accommodation, but in the capital, an abundance of families rent out rooms in their homes for the wayward traveler. Kraavi Puhkemaja- Just 1 km from the castle, Kraavi features 7 comfy bedrooms (Singles €25; Doubles €45) and a community kitchen housed in its own guesthouse. The owners are a sweet couple, and may even bring you some local fish to munch on. A large backyard with apple trees rounds out the Estonian cottage feel. SYG Hostel- For the budget-conscious, SYG offers dorm rooms (€10-12), singles (€15-17) and doubles (€20-23) in a student dormitory setting. Breakfast is additional (€4), and guests can arrange laundry services at the front desk. A no-frills accommodation, SYG provides the basics in a clean, tidy facility near the heart of downtown Kuressaare. For more options, check out booking.com ($35+ for a single room) or visit the tourist office to arrange a private homestay. Ristorante La Perla- Fresh pizza and creamy pasta dishes in downtown Kuressaare. Mains €8-15. Saaremaa leaves a little to be desired in the culinary scene. So your best bet might be to visit the RAE Supermarket behind the tourist office in Kuressaare and cook some meals from the comfort of your B&B. Sarah Hundt backpacked across Lithuania, Latvia, Estonia, and Finland in September 2014. She also extensively backpacked across Central America, the Caribbean, Eastern Europe (including the Balkans), and has traveled to various countries in Africa and South America on behalf of the US government. She lives in Washington, DC.